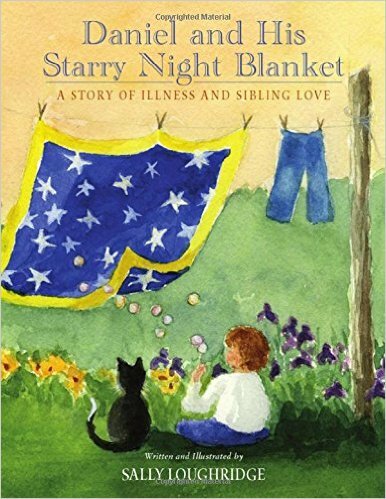 Synopsis: Daniel and His Starry Night Blanket is a story about a boy whose older sister, Kate, is diagnosed with cancer. He is sad and worried that Kate is so sick and not interested in playing with him anymore. His parents include him in the hospital visits for Kate’s chemotherapy, but he soon tires of going. Daniel is upset that his parents cook Kate’s favorite foods. When Kate receives cards and gifts, Daniel is angry that he doesn’t receive anything. His Dad takes Daniel to a ball game and spends “special” time with him. Daniel begins to find quiet projects that he and Kate can do together. Daniel wants to do something special for Kate and comes up with a secret plan and asks his grandmother to help. Sally Loughridge has written a compassionate and sensitive story for families who are dealing with a child diagnosed with cancer and the challenges for siblings. Daniel is representative of all siblings dealing with confusing feelings of sadness, anger, fear and jealousy. For children like Daniel, it can be a roller coaster ride. Daniel has the support of his parents and grandmother to help guide his journey through the highs and lows of a Kate’s cancer treatments. With their support Daniel is able to participate more fully in Kate’s care. It is significant when Daniel wants to share his special blanket with his sister forever– a signal of his own progress, growth and maturity. He asks his grandmother to help with his secret plan for Kate. I won’t spoil the secret. The soft watercolor illustrations are expressive, emotive and compliment the story. I highly recommend this book for families who have a seriously ill child. Resources: The book can be used in many ways to support young children during a siblings illness. It is a valuable resource for parents, therapists and counselors working with children and families. Loughridge includes two pages of suggestions and activities about ways to use Daniel and His Starry Night Blanket. Visit Sally Loughridge at her website. Awards: Daniel and His Starry Night Blanket has received the 2016 Best Book Awards Finalist (Children’s Picture Books Soft Cover Fiction), Gold Medal Winner in the 2016 Literary Classics International Book Awards for the Picture Book/Preschool Category. It was also a finalist in the 2016 Next Generation Indie Book Awards in two Categories, Children’s Books 0 to 5 and Children’s Books 6 and Up. The book was awarded the 2015 Gold Medal in the Lifestyle Emotions and Feelings Category of the Gelett Burgess Book Awards program and an Honorable Mention in the Children’s Books Category of the 2015 New England Book Festival. Book Summary: Ever since his first ride, Bryce has been obsessed with roller coasters. The hiss of the ride starting, the anticipation, the slow climb up the first steep hill, the pause just before the car careens over the steep drop. But when Bryce’s sister Paige is diagnosed with cancer, his life become one of the craziest roller coasters he would ever ride. His parents are suddenly distracted and stressed. It seems like Paige always gets her way. Brice has trouble keeping up with school. He misses out on time with his friends. And he worries about Paige. Will his family ever get back to normal? Why I like this book: The roller coaster is the perfect metaphor for a sibling’s journey through childhood cancer. It is written in a matter-of-fact and understandable way. The story is vivid, realistic, upbeat and honest. It focuses on real-life issues for siblings and family members. I especially like that the book emphasizes recovery rather than dealing with a loss. 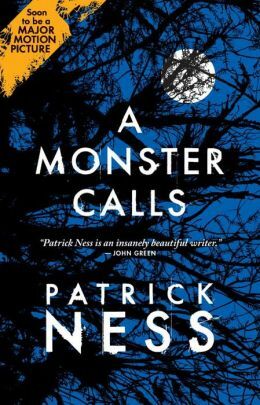 Bryce narrates the story and the authors did an excellent job of exposing the confusing emotions of his character. 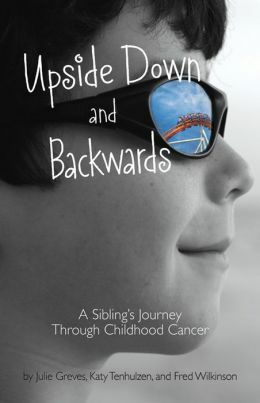 Bryce’s world is turned upside down and backwards because his sister is diagnosed with cancer. He feels like he’s also riding the “cancer coaster.” There are midnight trips to the emergency room with Paige, but no one bothers to tell him. He feels forgotten when his parents don’t pick him up after school or don’t make a baseball game where he hits his first home run. Yet he cares about his sister and shaves his head when she loses her hair to chemo treatments. A sibling support group become a refuge because the other kids actually get what his life if like. The authors really got this story right and I highly recommend it for siblings of cancer patients and their parents. Resources: There is a very helpful six-page guide at the back of the book with suggestions for siblings on how to take care of themselves, stay connected, talk to friends, discuss their feelings, deal with guilt, seek out a support group, and face the future. About the Authors: The authors share a passion for supporting patients and their families throughout the entire cancer journey in their work at Seattle Children’s Hospital. This passion motivated them to write a book and create resources for siblings. Julie Greves, CCLS, is a certified child life specialist, where she has spent over 10 years working with pediatric oncology patients. Katy Tenhulzen, CCLS, is a certified child life specialist who has had the opportunity to support pediatric hematology and oncology patients and families since 2002. Fred Wilkinson, LICSW, has been an oncology social worker focusing on psychological trauma since 2001. Synopsis: Children who suffer with chronic pain are encouraged to use their imaginations and deep breathing as tools for easing their pain. Written in soothing rhyme, the author uses the images of a warm rain, a wind blowing softly, cuddling with a puppy, a clouds in a sky, rainbows, and a field filled with daisies and grass. “Think of funny ideas like hippos in skirts. Send your laughter to places inside you that hurt. Why I like this book: I am overjoyed to find a picture book written so simply for children who live with chronic pain, like sickle cell, arthritis, burns, cancer, and lupus. 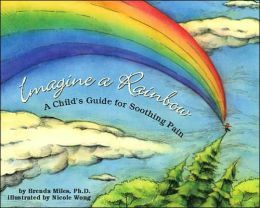 Brenda Miles’ book empowers children by encouraging them to use imagery/visualization and deep breathing to help them when their bodies are hurting. This is a very encouraging book to share with kids who are learning to cope with chronic pain. Wong’s illustrations are whimsical ink and watercolors that inspire, uplift, calm, warm and sooth the child. They are exquisite. Resources: Brenda Miles, Ph.D, is a pediatric neuropsychologist. She has written backpages for parents to help them understand the concepts of imagery, deep breathing, and coping with chronic pain and medical procedures. Her goal is to help teach parents how to guide their children through visualization, relaxation exercises and manage their own pain. Children are very creative and may have their own special images they can draw upon. They may use these techniques anywhere and anytime. Regine Stokke was diagnosed with a rare and aggressive form of acute myelogenous leukemia (AML) in August 2008, a few days after her 17th birthday. The diagnosis was a big shock for this Norwegian teen who felt like her “life had been shattered.” Shortly after her diagnosis, she decided to blog about what it was like to live with a serious illness and how it affected her life. She wrote about the countless painful biopsies and blood tests, chemotherapy and hospitalizations. There were days she was very ill and ready to give up and times of hope when donors were found. Her life was an emotional roller coaster and took its toll. She shared her deepest feelings and fears of dying. Regine was surrounded by her loving family, friends and community who were of tremendous support and brought some normalcy to her life. She received her bone marrow transplant in January 2009. Her life began to improve. There were times when Regine felt well enough to pursue her love of photography and painting and exhibit her work. She attended concerts and movies, went shopping and went to restaurants with friends. She celebrated her 18th birthday on Jun. 6, 2009 with two parties. She visited children with cancer in the hospital to lend her support. In between, there was good news and bad news. Regine never lost sight of the fact that what was most important to her was living in the moment and her relationship with family and friends. She loved life and had no intention of giving into her illness. Why I like this book: This book is as real as it gets! Reading her words are almost sacred. 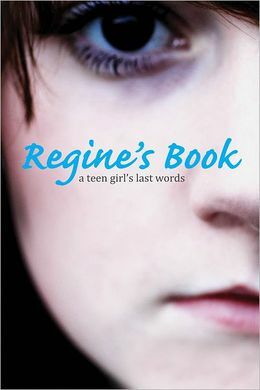 It is an honest, gut-wrenching, raw, powerful and inspirational story told in Regine’s own words. Although Regine only wanted to be ordinary, she was extraordinary. Throughout all that she endured, she shared her day-to-day ups and downs of living with leukemia with others through her blog. She continued her dreams of being a photographer and exhibited in her work at both 2009 and the 2010 Nordic Light photographic festivals in Kristiansund, Norway. And, she became a strong advocate for cancer patients. She urged people to register as blood and bone marrow donors. In those short 15 months, Regine accomplished a lifetime of work. Regine’s book sold over 30,000 hardback copies in 2010 and over 17,000 paperback copies in 2011, before it was translated from Norwegian into English. The book is beautifully presented as a piece of art. The book was printed on a heavier paper to display all of Regine’s photographic work, which runs throughout the book. It is a book filled with so much love and grace. I won this book from the publisher, Zest Books, on Amanda’s Born Bookish blog. It was so compelling that I wanted to share Regine’s story. Opening/Synopsis: “In our backyard, where first base used to be, is a special garden. We didn’t expect to plant it. But Mom says things don’t always go as expected. For example, Mom didn’t expect the doctor to say she had breast cancer.” Mom and Dad tell Janie and Jeffrey that Mom has breast cancer. Both kids are worried, but the parents involve them in discussions and have them meet the doctor. When Jeffrey asks if his mom is better, the doctor responds, “Not yet, but we’re working very hard to make her better–probably by pumpkin time.” This gives Janie an idea. Mom prepares to go to the hospital for surgery on Valentine’s Day. Janie points out the window and says, “Let’s plant a garden! Watching it grow, and eating healthy veggies, will remind us Mom’s getting better. Then before we know it…Hello, pumpkins, goodbye cancer!” Her Mom thinks her idea is perfect. The garden is planted with vegetables, flowers and pumpkins. During the summer Mom goes through chemo and radiation and loses her hair. The family lovingly tend to the garden and to Mom. As fall arrives, pumpkins appear and Mom is well on her way towards recovery. Why I like this book: Janna Matthies’ book is realistic and optimistic. The story is based on the author’s own experience with breast cancer, and she wrote the book while undergoing treatment. Even through the difficult times, there is an abundance of support from family and friends. Planting a garden does help the family focus on healing. Kristi Valiant portrays Mom smiling and positive in a charming way. Kristi’s illustrations are warm, rich and full of life. This is a beautiful story for moms and grandmothers with breast cancer to share with their children/grandchildren. Visit Janna Matthies at her website. The Goodbye Cancer Garden was selected as Best English Language Children’s Book at the Sharjah (U.A.E) International Book Fair in November of 2011. With this honor the book may be published in Arabic and touch the lives of readers in the Middle East. Resources: This is National Breast Cancer Awareness Month. For families undergoing a life changing event, planting a garden is a healing activity and helps them focus on living. Janna travels around the country speaking to children and families about cancer and her book. She’s discovered that many families in similar situations have planted gardens of hope in their backyards. Other activities to help children cope can be found at Bear Essentials website. Opening/Synopsis: “When I was born, I was almost bald. My mother tied a tiny green ribbon to my little puff of fuzz. This was my first hat.” Kathy has a hat for every occasion. Then one day when Kathy turns 9 years old, she finds out she has cancer. Because of her cancer she feels angry, sick and scared. There are some moving lines in the story: “I didn’t like it when they poked me with needles to put the medicine in…I didn’t like it when I felt sick from the medicine…and the worst thing about the medicine was that it made my hair fall out.” Kathy’s mother buys her lots of hats to cover her bald head, but she looses interest in her hats. One day Kathy puts a bear pin on her hat and all her friends begin to give her pins for her hat. They rally behind her on her journey. Why I like this book: I remember when this book first came out. The author is from my home town and I went to a book signing to get copies for two children who were dealing with cancer and the aftermath of the chemo therapy. I loved the idea of this book because it is so upbeat and encouraging. I knew it would help them feel less alone. Since my original purchase, the book has been picked up by a larger publisher and more text added. Nadine’s illustrations are colorful and support the realistic, but positive story line. Trudy wrote the book for her daughter who had cancer. 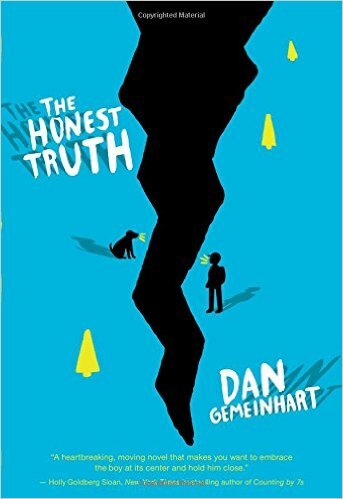 This is an outstanding book to help students in the classroom understand what a classmate with cancer is going through. I highly recommend it. Resources: September was National Childhood Cancer Awareness Month. I discovered a wonderful curriculum for teachers to use in the classroom at the Live Strong at School website. For parents resources visit the National Children’s Cancer Society, Childhood Cancer Lifeline, American Childhood Cancer Organization.